A few months ago, I received a copy of Answering Jihad: A Better Way Forward for review. Written by Nabeel Qureshi, it was a brief examination of jihad in Islam and the Christian response to it. 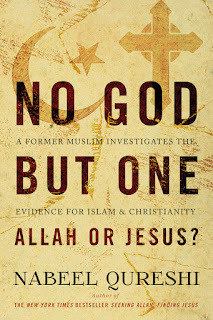 I was fortunate enough to receive a review copy of Qureshi's third book, No God But One: Allah or Jesus? as well. If his first book, Seeking Allah, Finding Jesus, was the story of how his heart changed in his conversion from Islam to Christianity, then No God But One is the story of how his mind changed. Are Christianity and Islam really all that different? For me, it's been a decade since I made the decision to leave Islam, and the fallout of my decision haunts me every day. I knew it would, well before I ever converted, but I also knew that I was sure. I was sure that Islam and Christianity are not just two paths that lead to the same God, but two very different paths that lead very different ways. I was sure that I had excellent historical reason to believe the gospel. I was sure that, though I loved Islam, I couldn't ignore the problems that plagued its foundations. But most of all, I was sure that following the one true God would be worth all trials and all suffering. I had to follow the evidence and the truth, no matter the cost. Not only are these religions different, but the differences have far greater ramifications than I realized when I converted. I knew that the historical doctrines of the two religions were different, but doctrines do not exist in a vacuum. They work together to impact the way we see the world, which in turn changes who we are . . .
[W]hat we think God is like has a tremendous impact on how we see the world He created. Why did God create humans: To share intimacy with them or to test them? What does He think about people: Are they His servants or His children? How does He want us to live: Focusing on love or focusing on law? What does He tell us about the afterlife: To anxiously anticipate unknown judgment or to have joyful faith in His grace? The Islamic view of God and the Christian view lend themselves to different answers, and how we answer these questions changes how we see ourselves, other people, and the world around us. It would be easy to do a perfunctory comparison of these things and ideas, but Qureshi explores all of them in great detail. Applying his upbringing in a devout Islamic family, as well as the texts of the faiths, and study into the relevant history and theology, Qureshi presents a panoramic view of the topics; perhaps not comprehensive, but more than sufficient for proper understanding of the nature and breadth at work. For example, in the consideration of his comparison of the Trinity and the Tawhid, both conceptions of the oneness of God, he extensively covers the relevant texts of the Bible, the Quran, and the Hadiths. His coverage goes beyond this, however, into topics like bila kayf ("without how," the understanding of the paradox of God's oneness and the Quran's eternality), the Mihna (the Islamic Inquisition which unified Islamic theology on the concept of Tawhid), and an examination of the Shema (from Deuteronomy 6:4). Later topics build off of this discussion, such as a consideration of the Council of Nicaea on the person of Jesus. In short, the reader who picks up this book thinking that Islam and Christianity are "essentially the same" will certainly be disabused of this notion, or at least be given much food for though. Having argued that the two faiths are fundamentally, radically different, Qureshi addresses the question that confronted him: How can we know which faith holds the truth? It's not a trivial question for the believer to address. Did Jesus proclaim to be God? Was Muhammad a prophet of God? There's a lot of build-up to explaining how these topics became the basis of argument and others were excluded, but they are sufficient for the case being made. If any of these questions comes back negative, then the respective faith is discredited. Further, each faith invalidates the other on these questions; for example, Christians reject Muhammad as a prophet, and Muslims reject that Jesus died on the cross. In all of this, Qureshi is up front about the possibility of perception bias. As a Muslim, he was inclined to disregard evidence in Christianity's favor and over-value evidence in Islam's favor. Still, he had to consider, what did the evidence say? What would an objective observer conclude? The format Qureshi uses for this section is quite interesting. He first presents the positive case for each faith. 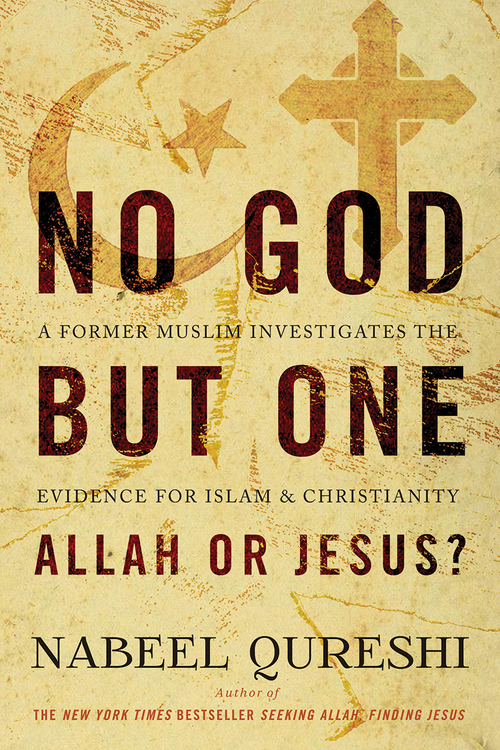 Any reader who has explored Christian apologetics will be familiar with much of the evidence presented for Christianity; the positive case for Islam might be less well known to readers, but for those familiar there are no surprises here. However, in each case, Qureshi also brings forward a critical response to the positive case from the other faith. For example, when considering the question of whether Jesus died on the cross, after considering the Biblical, historical, and medical case to be made for Jesus's execution, he also presents the Islamic understanding of the matter, including discussions on Swoon Theory and the Substitution Theory. After each such response section, he evaluates and weighs the totality of the arguments on each matter. As this is, ultimately, a glimpse into the unfolding of Qureshi's conversion, it goes without saying that he finds the evidence falls in Christianity's favor over and over. Which returns to where things started. By his own admission, he wanted Islam to be true. Unfortunately, he couldn't reconcile this with the facts at hand. This meant that if I wanted to remain Muslim, I would have to do so based on some reason other than objective truth. I could remain Muslim because I liked the Islamic message, because I desired the discipline of Sharia, or because I just wanted to keep my family happy. But if there was one thing Islam had taught me, it was that I must submit to God and not to man. That meant following the truth, no matter where it led . . .
As a Muslim, I wanted to base my beliefs not on blind faith, not on what appealed to me, and not even on my family's heritage. I wanted to ground my faith in reality. If I wanted to take the records of history seriously, I had to abandon my Islamic faith and accept the gospel. Overall, it's a worthwhile read. Almost everyone will find something of interest in the book, whether it's the comparative theology of the first section, the back-and-forth apologetics of the second, or the various anecdotes and vignettes Qureshi peppers throughout the book. In the end, he makes a powerful and compelling case for the truth of Christianity. The book releases August 30, and is available for pre-order until then.